We have recently added a new Cartoonist theme called International Politics. 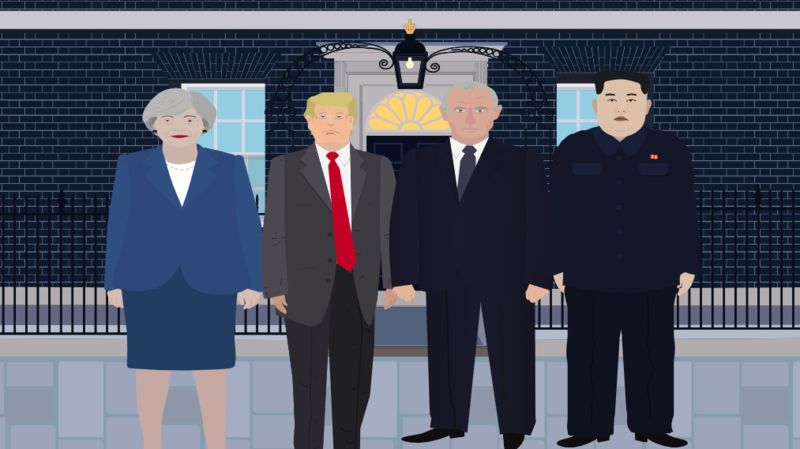 The theme includes characters such as Donald Trump, Theresa May, Angela Merkel, and Vladimir Putin, as well as backgrounds such as The Oval Office, 10 Downing Street, The UN Headquarters and much more. There are several ways of adding contacts in Creaza. You can do this by creating an assignment, inviting others to collaborate, or sharing a contact link. If a teacher creates an assignment and shares the link with his or her students, all users who open the link will become contacts with the user who has created the assignment. In addition, students who open the same link will also become each other’s contacts. The same logic applies when a user invites one or more other users to collaborate on a product. This is just some of what has been added to Creaza recently. Much more is on the way, and we are looking forward to sharing this with you in the coming months!